This country is for all Zambians,and HH is a 100 percent Zambian who was born in a village went to town for his knowledge share ring with the Zambian people. 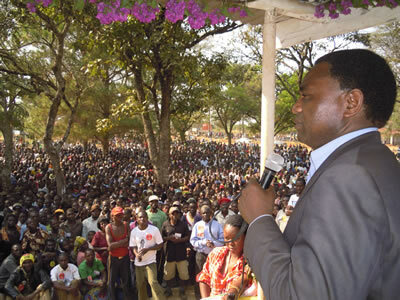 Lets be serious with same of these issue,Nkumbula senior,Nkumbula Boduwin and other leaders died in politics,and you want to do the same to our Zambian Moses no, let him be a leader in 2016. HH God is with you and churches are praying for you don’t wary continue being careful and intelligent,came 2016 this will be a history when you be in state house.My regards to you.